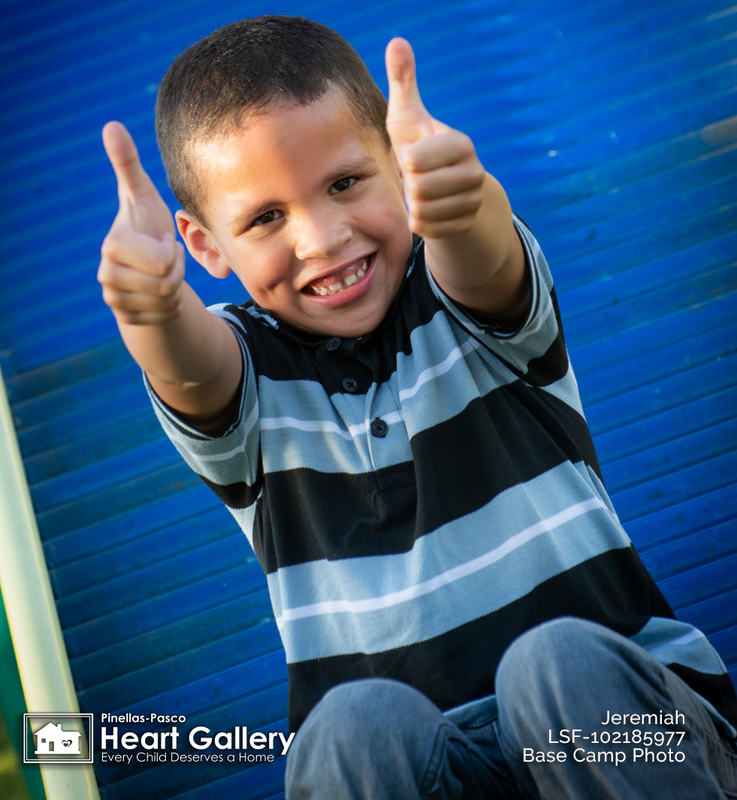 Funny, energetic, smart and athletic, Jeremiah loves showing off his back flips – something he likes most about himself. When Jeremiah is at the park, one his favorite places to go for fun, he loves to practice his back flipping skills. 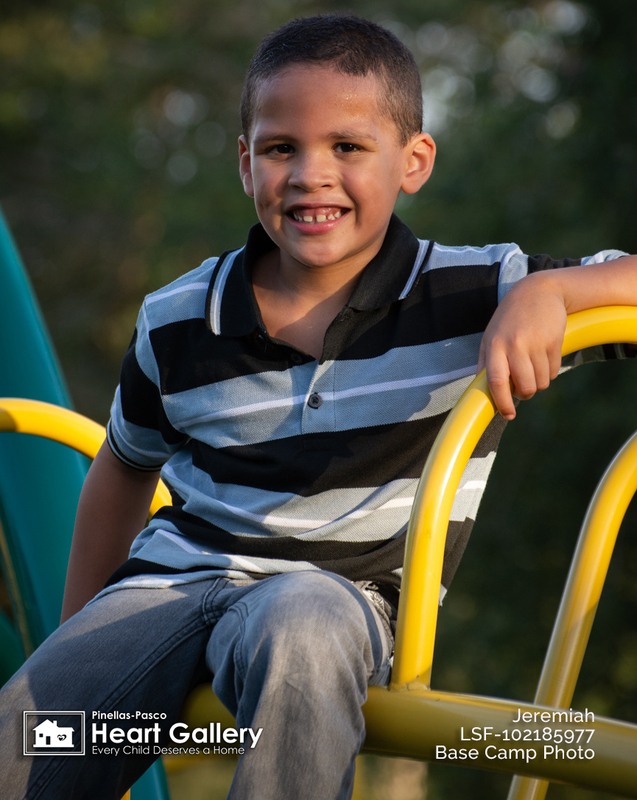 Jeremiah enjoys the park so much, if he could change the world, he would make every day sunny, so he can go every day. But if he can’t get to the park, Jeremiah is happiest when he gets to watch his favorite show Goosebumps. He especially likes the monsters on the show, because they look cool. Jeremiah’s favorite food is chicken, but if it’s breakfast, he’ll pass on Rice Crispy cereal. In school, Jeremiah’s favorite subject is math. Jeremiah’s other favorites include the color blue and tigers. When Jeremiah grows up, he hopes to be a police officer. He also hopes to have a cat as a pet someday. 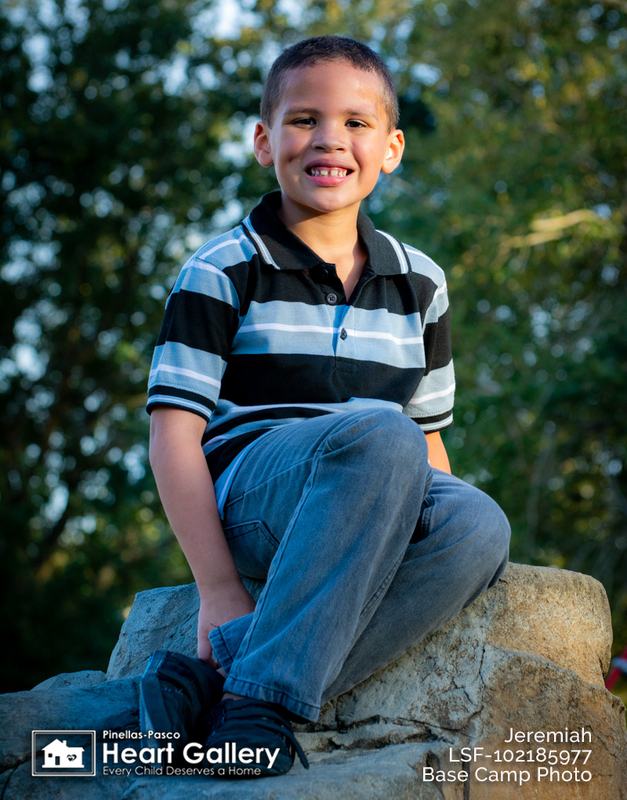 Jeremiah’s ideal forever family will live in the Tampa Bay region and include a mom and dad.